Why get a DJ for your wedding? In the age of Spotify, Shazam, Pandora and other music streaming apps, it seems everyone can be a DJ! But these apps work on an algorithm and cannot read the mood of a room or cater to the diverse music tastes at a wedding. Streaming apps have their place but at Unity DJs we believe the cost of having a dedicated professional DJ is well worth building into your budget. What does the DJ actually do? The DJ’s job is to discuss with you what you want for your wedding – to talk about the wedding party and guests and what they might like to hear and dance to, plan out and source the tunes, provide sound for the ceremony if needed, to set up the sound system and design the best sound for the space, look after the microphones and sound for speeches, provide sound tech support for any live music and -most importantly- play tunes to kick off the dance floor and keep it going all night! Our DJs have over 20 years experience and can give you some great tips to make your wedding extra special. Noone has regretted booking a great DJ for their wedding, but plenty have regretted leaving it off their budget! It’s your day and night and you deserve to have a DJ! Read some recent testimonials from weddings we have DJed at here. 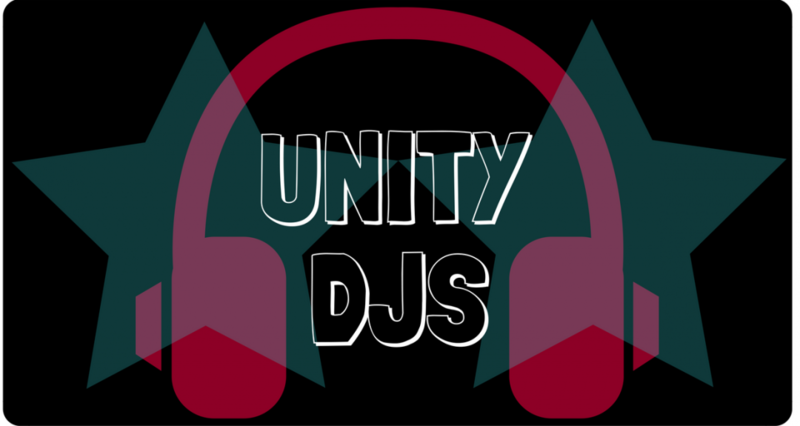 Unity DJs are based in the Wellington area and can travel for a fee. Please send us an enquiry and we will get back to you with some different options.